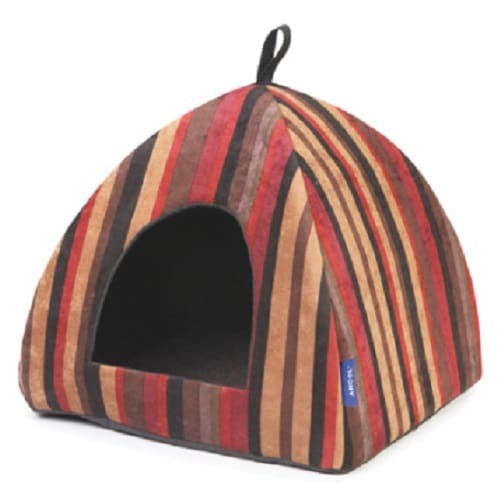 Home / Cat / Cat Bedding / Pyramid Cat Bed – Cosy and comfortable in a stripe design. The Pyramid Cat Bed is a cosy den for cats and small dogs. 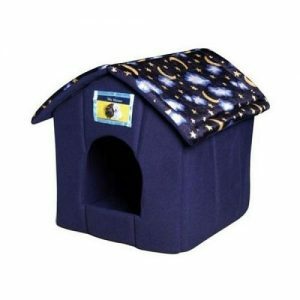 The Pyramid Cat Bed is a cosy place for cats and small dogs to retreat to. This lovely den is perfect for cats that need privacy and increases the chances of your pet getting an undisturbed sleep. The pyramid cat bed is cleverly designed to trap heat to keep your cat extra snug. A soft cushion in the bed can be removed for easy cleaning. The Pyramid Cat bed can be folded down when not in use for easy storage. This bed is machine washable at 30°.